During the fall of 1866, illness greatly curtailed Wilfrid’s activities. His entourage worried about his health. Some even believed that he would not live to be very old if his health did not improve. His friends pressured him into leaving Montréal and the polluted air that greatly impeded his ability to breathe. A friend offered him the position of writer for a newspaper, Le Défricheur, in L’Avenir, Centre-du-Québec. 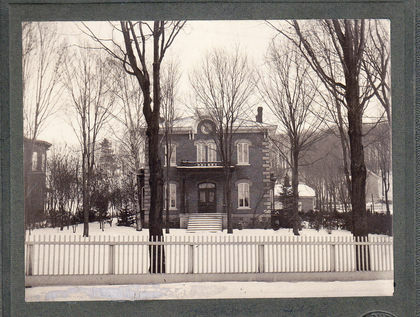 Considering it a great challenge and a good reason to leave the city, Wilfrid Laurier moved alone to L’Avenir on November 18, 1866. Quick to find his bearings, he infused the newspaper with his ideas and political positions. In January 1867, Laurier relocated the head office of Le Défricheur to Victoriaville and moved there also. In his articles, he commented on political issues and on the place of religion in the public and private lives of French Canadians, something he patently denounced. In reaction, Monsignor Laflèche, then bishop of Trois-Rivières, condemned Le Défricheur and urged his flock to cease reading its pages. Embroiled in controversy, Laurier shut down the newspaper on March 21, 1867. Looking for work in September 1867, Laurier decided to settle down permanently in Arthabaskaville, near Victoriaville. He boarded with Dr. Médéric Poisson and his wife and opened a law office with Eugène Crépeau on Rue de l’Église. Laurier was 26 years old. In March 1874, Joseph Lavergne joined Eugène and Wilfrid at the office. The firm changed names to become “Laurier-Lavergne”. Joseph Lavergne would remain a work colleague, a political partner, and a friend throughout Laurier’s life. After entering politics, Laurier continued to take on clients, even while in Ottawa. He pleaded his cases during his stays in Arthabaskaville. He fully trusted his partners to maintain the office. 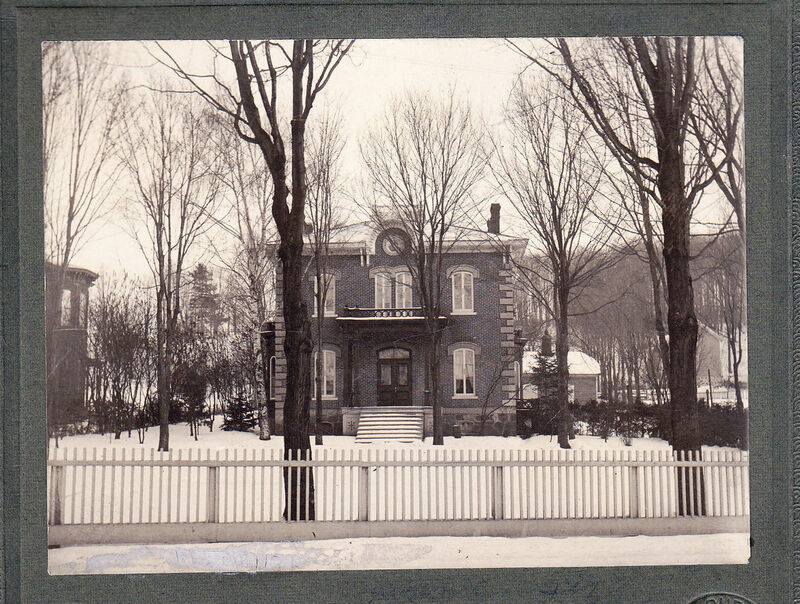 In 1876, Laurier commissioned architect Louis Caron Sr. to build his home on Rue de l’Église. The red brick residence cost $3000, an enormous sum for the times.